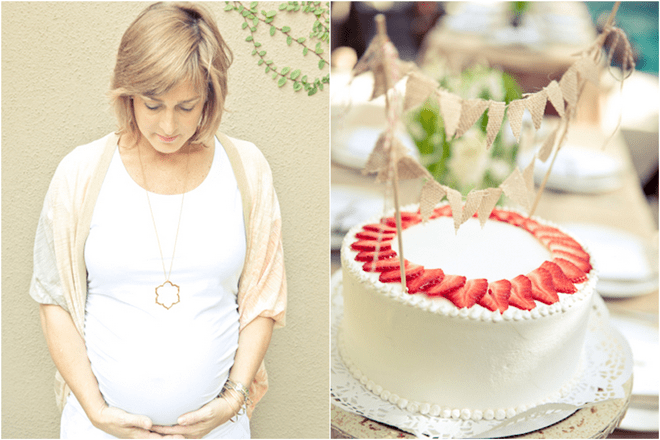 Hooray for absolutely darling baby showers! 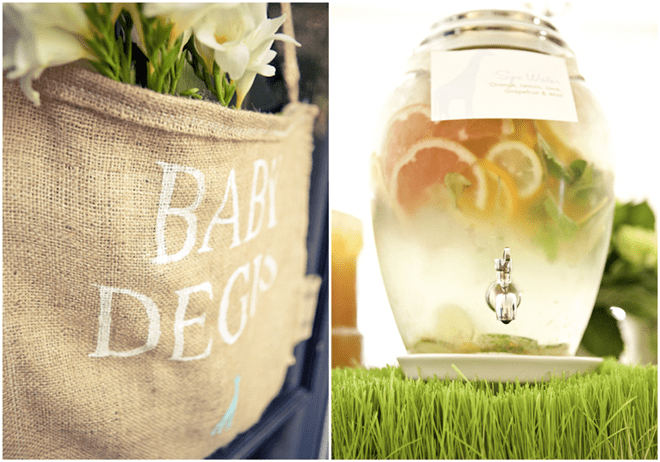 Wendy Hahn of Urban Collective designed and styled this chic springtime-themed baby shower. 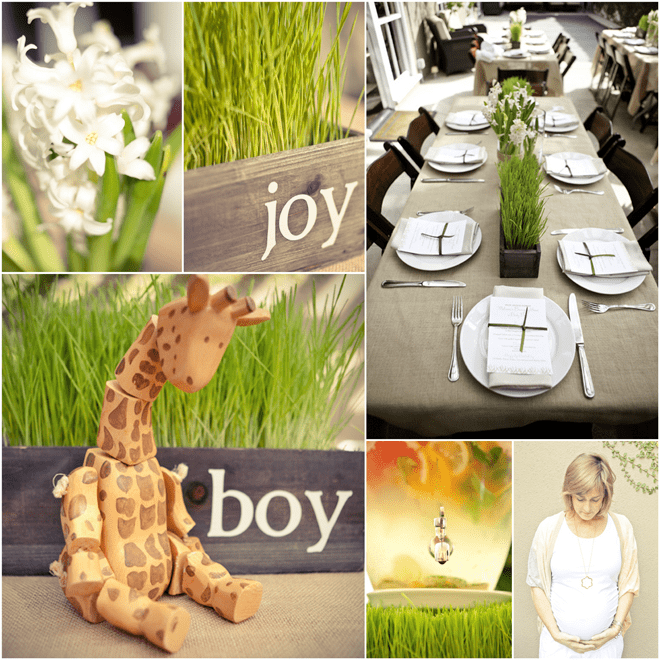 Spring is all about fresh beginnings like sweet new babies and fresh green grass! 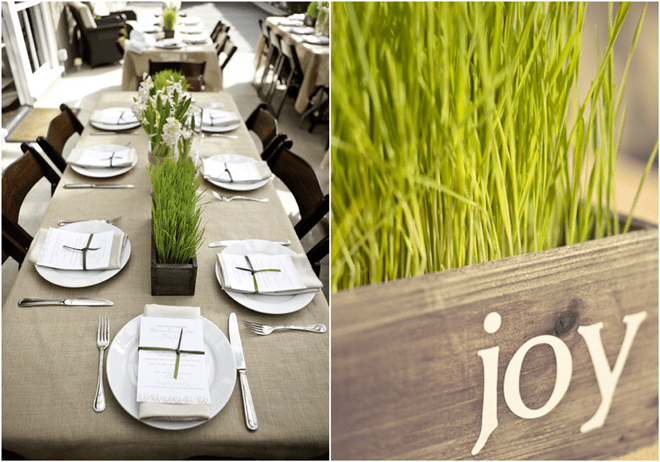 I have grown wheat grass for several parties (it’s super easy) and Wendy used that technique here too for simple, springtime centerpieces. 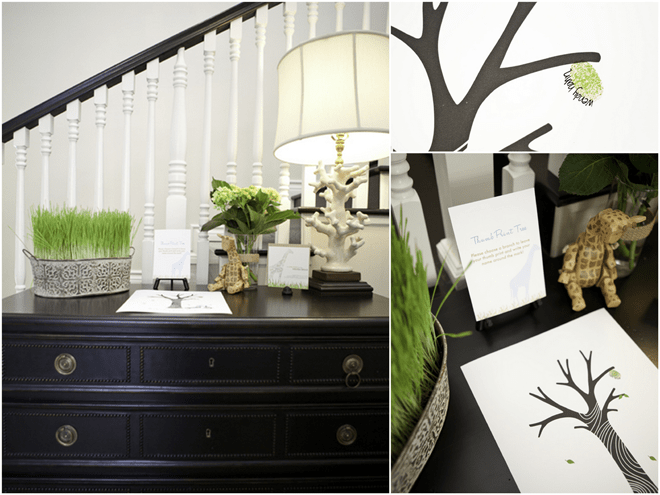 Wendy used vinyl wall mount stickers on planter boxes with phrases like “joy,” “baby,” and “love” to hold the wheat grass. 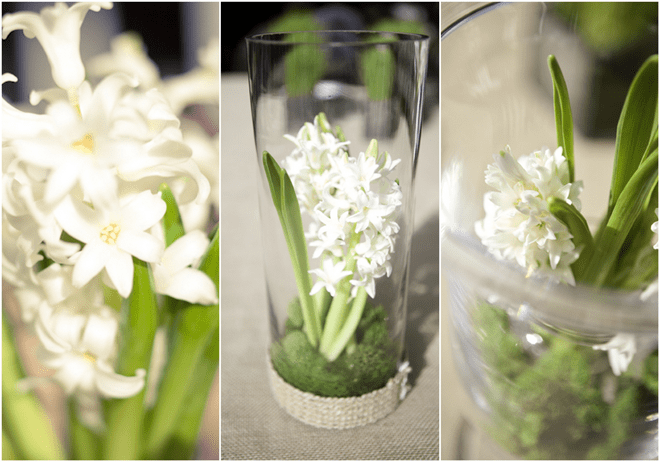 What a sweet and simple centerpiece that would also be fitting for a bridal shower too! 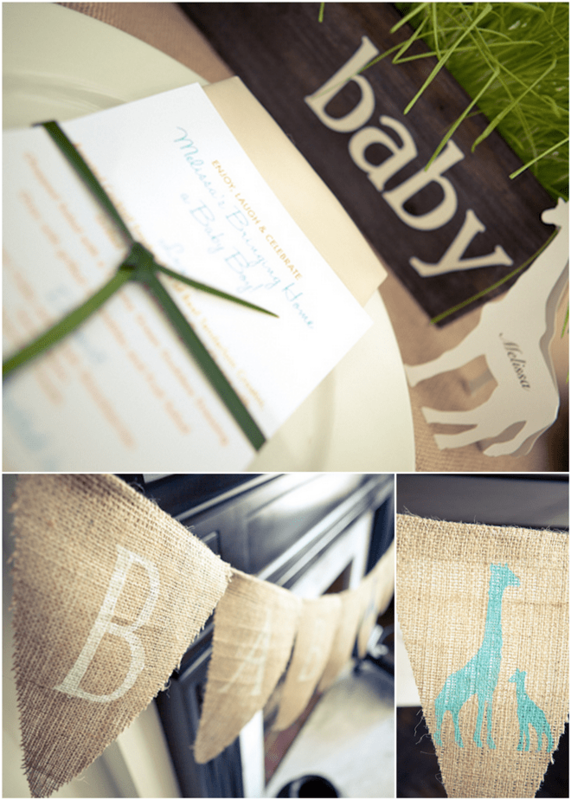 The invitations are from Minted (they have darling paper goods!). 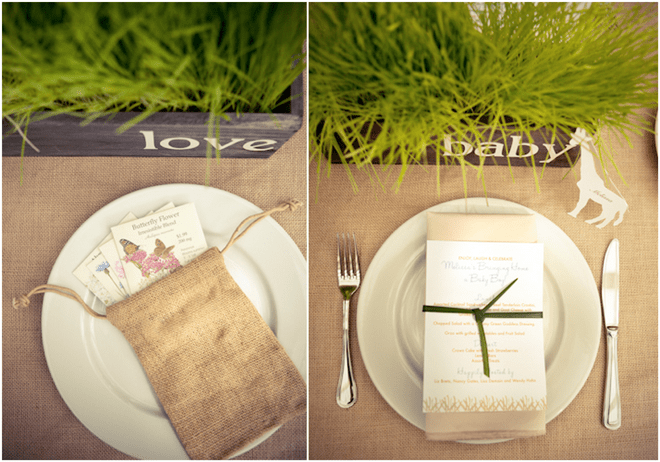 The menus were handmade with a grass stamp on the bottom to match the spring-time decor. It’s those handmade touches that make all the difference! Am I right?! Mom-to-be received a tear-jerking custom quilt made with the guest of honor’s daughter’s drawings and quotes. It was hand-embroidered by an Etsy seller and quilted by another Etsy seller. How darling! What a treasure for the new baby to enjoy. 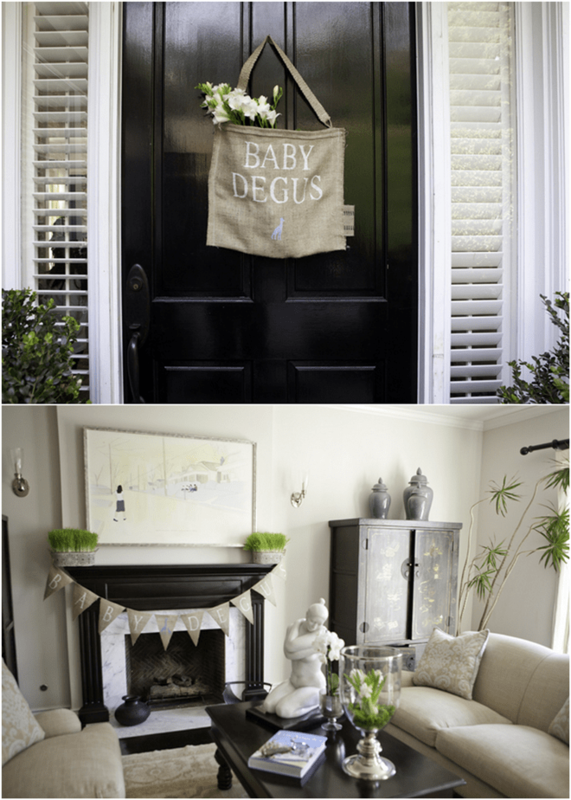 Wendy also made DIY food labels with hand-stamp embellishments, and guests enjoyed a delicious cake with cute burlap cake bunting. Adorable! The strawberries are such a sweet touch. Thank you for sharing Courtney! Absolutely Stunning! I love the soft colors. Thanks for the comment! :) We love the colors too! 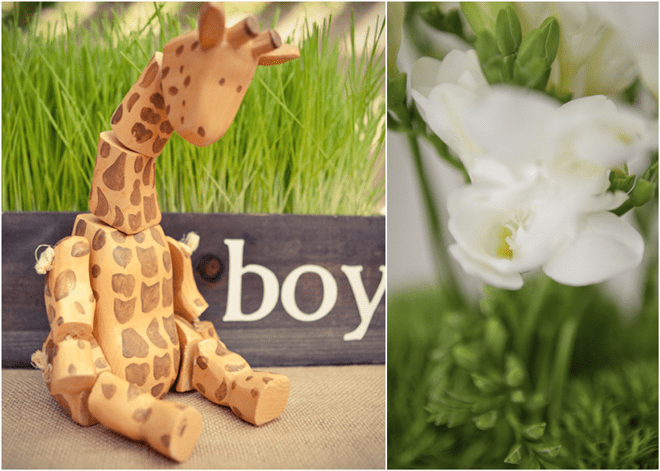 Would you share where you found the giraffe??? I want one!!! Hi Kristy Jo! 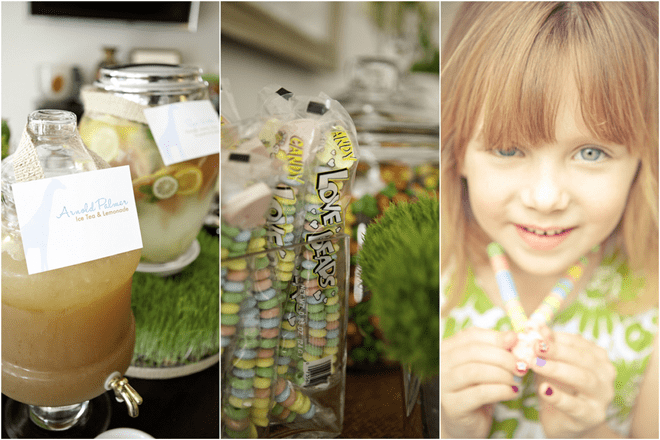 You’ll want to email the party planner (links under credits).